Run this one-liner from any computer, and as long as you run it a user context where you have user rights on the server, you will get the amount of free space in GB. You can also use this a basis for a script listing out renaming space on several computers or several disks on a single server, but that might be the subject for another article! I head a real brain teaser when working a script earlier today. Basically I was modifying a script which lists out unused phone numbers in a range. It turns out German phone numbers (and any number greater than 2147483647) are incompatible with number ranges. Here’s why, and how to solve it. When using number ranges, you are limited to signed 32 bit integers (-2147483646 to +2147483647). This is rarely an issue, but when working with untypical numbers, like unformatted phone numbers or the byte value of very large files, it can pose a problem. The high number is above the max value for a signed 32 bit integer. $Counter is initially set to be the starting number of your range. It will be the control parameter that the While loop uses to check if it’s done working. $NumberStart is the starting (low) number in you range. $Array is your range (or it’s equivalent). It gets fed each value from $NumberStart to $NumberEnd. This array will hold 64 bit integers. After moving a reporting services database from SQL server 2008r2 to 2012, we had a problem running reports in TFS. 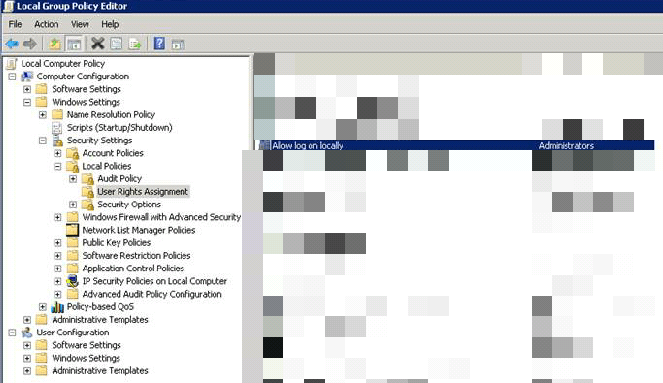 Add a local policy on the SQL server allowing the Report Services User (Reader Account in TFS Admin console) to log on locally or add it to a group which already has these rights. I got a challenge yesterday on how to identify child processes, and googling it led to the conclusion that this is either not a common issue or no one knows the answer. My issue was this: if a child process locks up or needs to be killed, how do we identify the process using powershell. The thing about finding child processes is that you need to know who their parents are. In fact, you need to use the parent process id (PID) to identify the child. First choose how to identify the parent process in Powershell. You can usually use ProcessName, Description, Path etc. Then you need to find any process which has the ParentProcessId of it’s parent (obviously)! This only identifies the child process, what you’d like to do with it afterwards is your call. Nonetheless, this could help you automate some of the tasks you’ve been using Process Explorer to solve until now. This techtip handles how to copy group memberships from a single user to one or more users in your organization. In order to accomplish this we use only the Active Directory module included in RSAT or available with Windows Server 2012. In order to copy the group membership to several users, simply add a foreach-loop in the script. In the last example, the variable $users would typically be populated using the the cmdlet Get-ADUser to pull from AD based on specific criteria, like OU etc. This script only adds groups, it does not replace existing group memberships.